Look, you can get this Wingardium Leviosa Harry Potter Kit, OK, but only if you say it right: It's "Lev-i-OH-sa" not "Lev-i-oh-SA." Right, Hermione? If you really want to master your spells before all the other witches and wizards on your block, then you've got to start with the basics. The famed levitation spell requires three important components: 1) a wand, 2) a feather, 3) a little help from this kit! Because let's face it, here in the muggle world, we make our own magic, too! This kit will keep your peers guessing as you dazzle them by showing off your stellar first-year skills! Next up: Expelliarmus! This tricky little toy kit has been charmed to make your Wingardium Leviosa spell foolproof (and yes, we've already sent one to Ron). 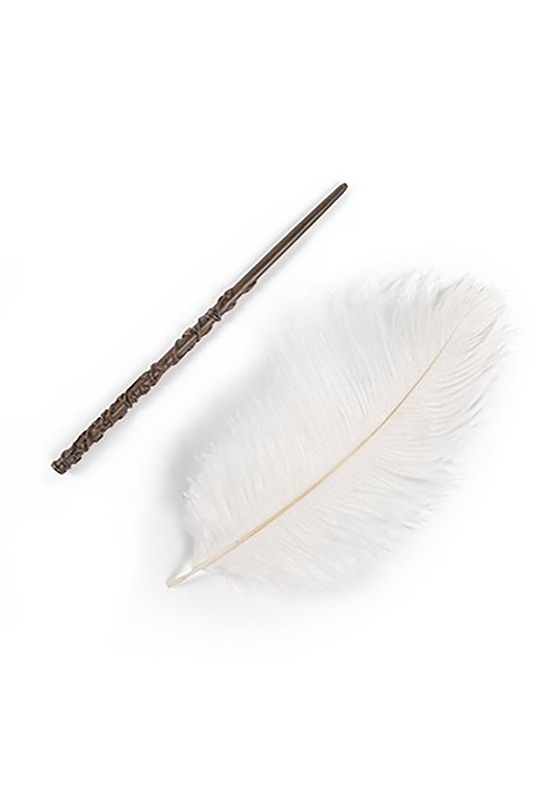 It comes straight from the halls of Hogwarts, and includes a wand approved by Ollivander himself, a lightweight white feather, and a (shhhhh!) invisible thread that connects them, to help the feather hover and dance through the air before your very eyes! Let's face it, not all muggle-born witches are as naturally gifted as Hermione. Some of need a little more...help...in the spell department. Have fun with this awe-inspiring set. And keep working on these basic enchantments; you'll be levitating, stupefying, and disarming before you know it!